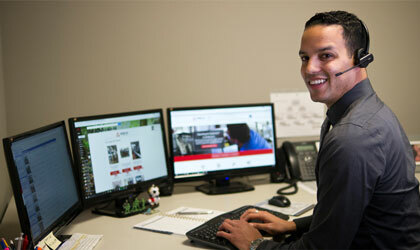 We provide convenient, reliable, cost-effective pre-owned equipment and related services. Our clients choose SIGMA because we offer exceptional quality, unsurpassed selection and extraordinary experiences. By choosing SIGMA, you gain the confidence that comes from partnering with a top 5 buyer and seller of pre-owned packaging, processing and support equipment. 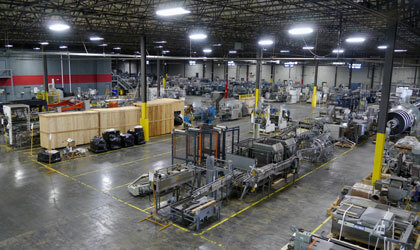 SIGMA Equipment, founded in 2003 as Sigma Packaging, serves manufacturing businesses through the buying and selling of used packaging and processing equipment. We save you time, space, money and resources. 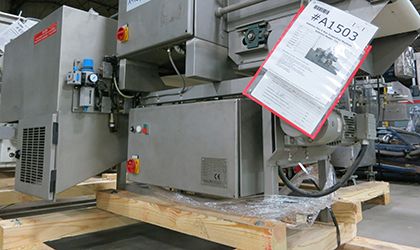 We pioneered our own online system for connecting equipment buyers and sellers via the internet, engaging the secondary market for packaging, processing and support equipment; SIGMA continues to lead the industry by using the latest technologies to facilitate the marketplace for used equipment. The SIGMA complete purchasing program turns your excess equipment into recovered capital. Whether a single machine, a complete line, or an entire facility, we offer competitive prices and in-plant removal of your used equipment. 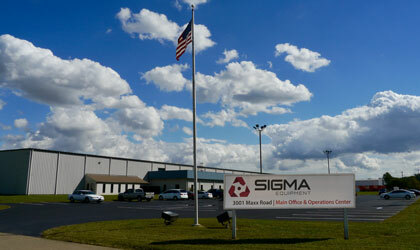 SIGMA Selling Methods include Outright Purchase, Consignment, Merchandise Credit and Website Listing. SIGMA’s experienced sales team works individually with you to understand your equipment needs, identify the right equipment and outline your buying options. With thousands of machines to choose from, in more than 450,000 square feet of secure, climate controlled space, our inventory provides what you need when you need it.If a particular machine is not in stock, we have access to listings for tens of thousands of additional items through our extensive dealer network. SIGMA Equipment also offers a suite of engineering and technical services in support of your packaging and processing equipment needs. 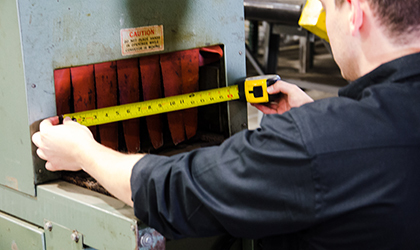 Our on-site machine shop reconditions and retools most equipment. From simple parts replacement to complete rebuilds, SIGMA’s professional technicians return used equipment to premium condition. Most of our in-stock inventory is available for long or short-term rental with flexible terms to meet your project's needs. Plus, 50% of monthly rental payments can be applied to your future purchase of the machine.